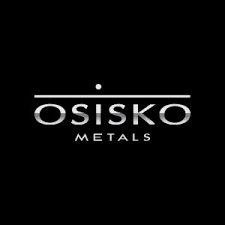 Osisko Metals Incorporated (TSX-V: OM) (FRANKFURT: OB51) is pleased to announce assay results from the latest 7 drill holes completed in the East Mill Zone within the Pine Point Mining Camp (“PPMC”). Drill hole EM-18-PP-151 intersected 8.07% Zinc and 6.80% Lead over 12.74 metres within the modeled K-32 pit boundaries. Drill hole EM-18-PP-392 intersected 10.90% Zinc and 4.28% Lead over 6.00 metres at the west edge of the modeled K-32 pit boundary, and hole EM-18-PP-182 intersected 11.78% Zinc and 6.01% Lead over 4.35 metres in an area 130 metres to the south of the currently modeled pit boundary, near historical Cominco drilling. (See 2018-2019 Drill Campaign: East Mill Zone – K-32 pit). The pit number refers to modeled resources pits included in the recently filed NI43-101 Technical Report filed on SEDAR. All intersections are within flat lying tabular-style deposits and all intercepts are located above 30 metre depths. Highlights are listed below in Table 1 and details are provided in Tables 2 & 3. The newly modeled K-32 pit, located within the East Mill Zone currently measures 300 metres in strike length with an average mineralized north-south width of approximately 130 metres. It is located 4.5 kilometres east of the electrical sub-station along a main haul road. Reported NI43-101 Inferred Mineral Resources for the East Mill Zone total 5.5 million tonnes of 3.76% Zinc and 1.30% Lead. The objective of the 2018 drill program was to convert the Cominco Ltd. unclassified near-surface historical resources into the NI43-101 Inferred Mineral Resource (see press release dated December 6 2018). These areas are considered to be amenable to open pit mining. PPMC is located on the south shore of Great Slave Lake in the Northwest Territories, near infrastructure and paved highway access and with 100km of haulage roads already in place. The Osisko Metals Board of Directors approved the grant of incentive stock options to directors, officers and key employees to purchase up to an aggregate of 2,662,000 common shares in the capital stock of the Company. Grants are subject to a three-year vesting period and a five-year term at an exercise price of $0.55 per share. The above-mentioned Inferred Mineral Resources conform to National Instrument 43-101 standards. These mineral resources were reported by the Company on December 6, 2018 and the independent qualified person for the resource estimate, as defined by NI43 101 guidelines, is Pierre-Luc Richard, P. Geo, of BBA Inc.
Stanley G. Clemmer, P. Geo registered in the Northwest Territories and is Chief Geologist for Pine Point Mining Limited, a wholly owned subsidiary of Osisko Metals Limited. He is the Qualified Person responsible for the technical data reported in this news release. Osisko Metals adheres to a strict Quality Assurance and Quality Control program with regard to core handling, sampling, transportation of samples and lab analyses. Drill core samples from the Pine Point project area were securely transported to its core facility in Hay River, Northwest Territories where they were logged and sampled. Samples selected for assay were shipped via secure transportation to the ALS Canada Ltd.’s preparation facility in Yellowknife. Pulps were analyzed at the ALS Canada Ltd. facility in North Vancouver, British Columbia. All samples are analyzed by four acid digestion followed by both ICP-AES and ICP-MS for ultra-trace level detection for a multi-element suite with a 1% upper detection limit for base metals. Samples reporting over 1% for Zn and 1% for Pb are analyzed by assay grade four acid digestion and ICP-AES analysis with an upper detection limit of 30% and 20% respectively. Samples reporting Zn >30% and or Pb >20% are analyzed by traditional titration. Osisko Metals is a Canadian exploration and development company creating value in the base metal space with a focus on zinc mineral assets. The Company controls Canada’s two premier zinc mining camps. The Company’s flagship, the Pine Point Mining Camp located in the Northwest Territories, has an Inferred Mineral Resource of 38.4 Mt grading 4.58% zinc and 1.85% lead, making it the largest high grade, pit constrained zinc deposit in Canada (please refer to the Amended Technical Report for further information). Within the Bathurst Mining Camp located in northern New Brunswick, the Company is focused on drilling and developing the Key Anacon Project, which previously had only sporadic exploration work since the 1960’s. In 2019, the Company will continue to diligently develop and explore in order to confirm and grow both projects. In Québec, the Company owns 42,000 hectares that cover 12 grass-root zinc targets that will be selectively advanced through exploration.